Members of our local joined with AFSCME Local 829 and SEIU Local 521 members, along with workers from an array of unions in San Mateo County and the South Bay, at a rally held February 26th at the Government Center in Redwood City, the day oral arguments began in Janus v AFSCME at the Supreme Court. Rich and powerful corporations are funding this attack against working people and using the Supreme Court to divide us and to take away our freedom to join together to fight for fairness and decent working conditions. 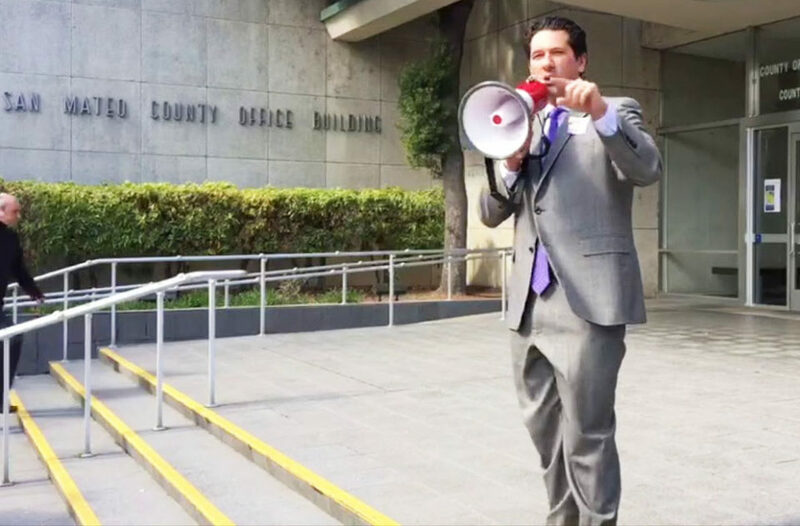 Speakers at the rally, dubbed “Together We Rise,” included Cindy Chavez, District 2 Supervisor for Santa Clara County; David Canepa, District 5 Supervisor for San Mateo County; and Julie Lind Rupp, Executive Secretary-Treasurer of the San Mateo County Labor Council. The spirit of the gathering was upbeat and the message was loud and clear: working people need unions! The labor movement is prepared to fight back against the potential loss of non-members’ fees if the Court decides, as many expect it will, in favor of Janus. We are committed to keeping our unions strong. 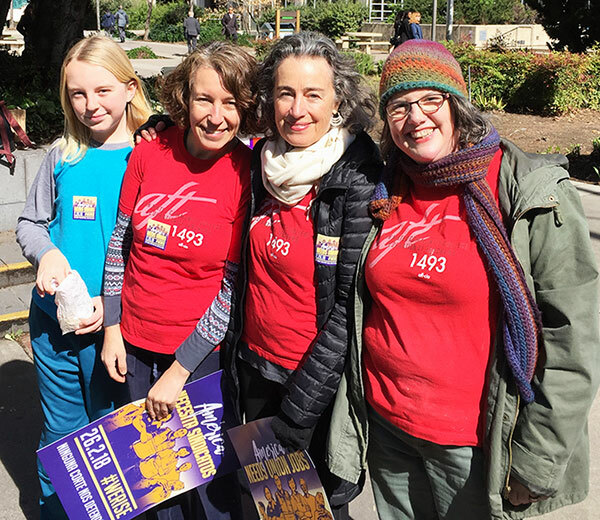 Katharine Harer, Michelle Kern, Jessica Silver-Sharp and her son, Josh Sharp (age 12) mingled with teamsters, school bus drivers and many others on a freezing and windy day, proudly wearing our red AFT 1493 t-shirts. We let everyone know: Community college teachers are here! 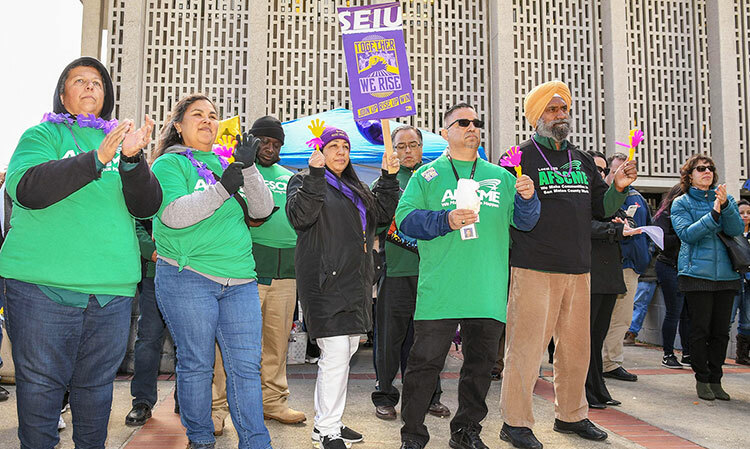 Sister rallies were held across the country on February 26th and, on the weekend leading up to the Supreme Court’s hearing of the case, AFSCME led the Working People’s Day of Action, where tens of thousands of working people and their allies protested in 30 cities across the country.